Welcome back to the spring game. We missed you last year. There are always questions surrounding a team at this time of year. But,for WVU, there are a few more than usual. As Neal Brown takes the field as head coach for the first time, here are three things I’ll be watching today. The most important position on the field gets a big makeover this season. Gone is Will Grier, a guy that put up monster numbers in his two seasons at the helm of the West Virginia offense. Grier threw for more than 7,000 yards and 71 touchdowns in his WVU career. Those numbers were good for third place all-time in Mountaineer football history in passing yards and second in touchdown passes. 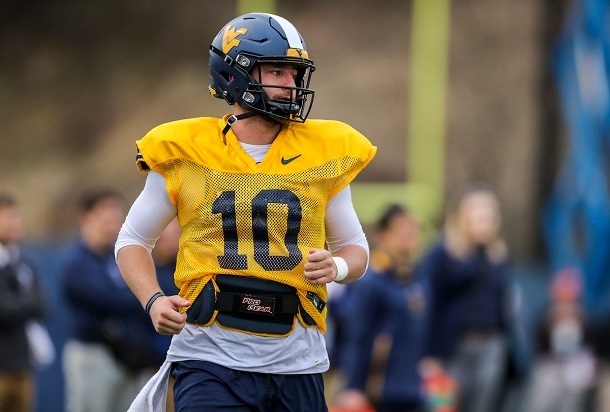 Austin Kendall arrived in Morgantown earlier this year after backing up the last two Heisman Trophy winners at Oklahoma. You’ve seen small doses of Jack Allison, including a start in the bowl game in December. While that performance wasn’t one for the highlight film, it’s unfair to judge Allison soley on that performance. No Yodny Cajuste, no Gary Jennings, no offensive coordinator and a head coach that was just days from bolting to another job isn’t exactly a recipe for success for a first time starter. Trey Lowe is a redshirt freshman that the previous coaching staff raved about privately during the season. Now he’ll try and impress Neal Brown and this new Mountaineer coaching staff. This goes hand-in-hand with number one. West Virginia lost a ton at this position. David Sills and Gary Jennings accounted for 74% of the touchdown catches last year. The second, third and fourth best receiving touchdown seasons in WVU history came from Sills and Jennings. Add in the loss of tight end Trevon Wesco and West Virginia finds itself without three key go-to guys from last year. The status of Marcus Simms is the biggest question mark for this group. If he is ready and able to go this season you’ve got a great starting point. There were times last year when I thought Simms was the best receiver on the roster. The other returner that has had some big moments is TJ Simmons. Simmons caught 28 balls for 341 yards and one touchdown during the 2018 season. Is he ready to be a number one guy? He’s got the size and skill set. Now we see if the production will follow. 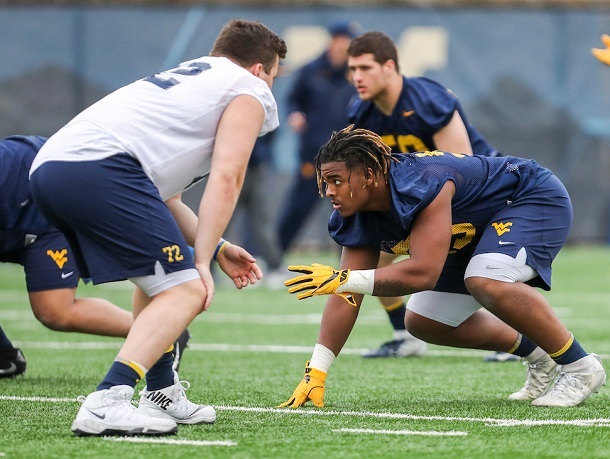 Sam James is a redshirt freshman who has been mentioned multiple times by Neal Brown this spring. James can flat fly. He won the Georgia 6A state championship in the 400 meters as a junior in high school. Keep an eye on him. Tevin Bush is a guy that presents some interesting options for this offensive staff. Bush stands just 5’6” but that’s not necessarily a bad thing. Tuck him in behind some blockers on a screen or fly sweep (as was often the case under Dana Holgorsen) and see if he can bust a big play. Gone is the 3-3-5, a staple of the West Virginia program for much of the last two decades. More important than a change in scheme may be the loss of key personnel. West Virginia will be without the services of one of the all-time great linebackers in the history of the program. The Big 12 defensive player of the year in 2018, David Long, decided to skip his final year of eligibility and head to the NFL. Tony Gibson once told me he thought Long would make EVERY tackle during a game if he was asked to do so. Also gone are grad transfers Kenny Bigelow (second team all-Big 12) and Jabril Robinson. Talk about two guys that made a huge impact in just one season wearing the gold and blue. Both Bigelow and Robinson were invaluable along that defensive front last season. Mix in the loss of Dravon Askew-Henry (honorable mention all-Big 12) and you can see why there are so many question marks around this defense. But, all is not lost. Second team all-Big 12 safety, Kenny Robinson is back. As is Charleston native, Derrek Pitts. 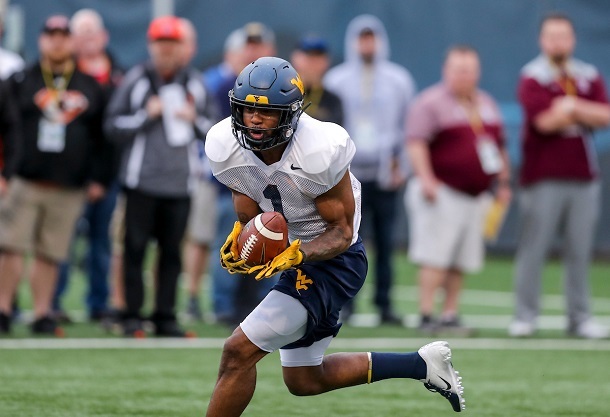 Keith Washington and Josh Norwood both played significant snaps at corner and should help turn the back end of the West Virginia defense into a a strength of the defense this season. The linebacker position that was besieged with injuries last year, may become another strength this year. Dylan Tonkery, Shea Campbell, Josh Chandler, Zack Sandwish, Charlie Benton, Exree Loe, Adam Hensley are all guys that have seen snaps at the position. Add in Alabama transfer, Vandarius Cowan (6’4” 235 pounds) and you can see why there are whispers that this position group will be the strength of the defense. The defensive line must replace Bigelow, Robinson and Zeke Rose, but also returns some familiar names. The Stills brothers, Darius and Dante, continue to impress. Reese Donahue returns for what feels like his tenth season. Taijh Alston is a guy to keep an eye on this season. He’s impressed coaches with his work during the spring. Quondarius Qualls makes the move from linebacker to defensive lineman. Some key losses…yes. But, also some veteran talent as well. The key to success defensively this season will be how quickly they can adapt to defensive coordinator Vic Koenig’s new system. Questions, questions and more questions. That’s the theme for the West Virginia football program as we enter year one under Neal Brown. We begin to get some answers today. The forecast is calling for low 70’s and very little chance of rain. It should be a fun day at Milan Puskar Stadium as we get our first look at a Neal Brown-coached West Virginia football team. Editor's Note: Top photo shows transfer quarterback Austin Kendall, while wide receiver T.J. Simmons is shown in the second photo. BHS alum is shown with other defensive players in the third photo, while Fairmont Senior's Dante Stills is shown below. Photos by Ben Queen of www.benqueenphotography.com.